New Delhi: Neeraj Pandey, who is an Indian film director, producer and screenwriter known well for his films like Special 26 and A Wednesday, has written a novel called Ghalib Danger which was released in 2013. 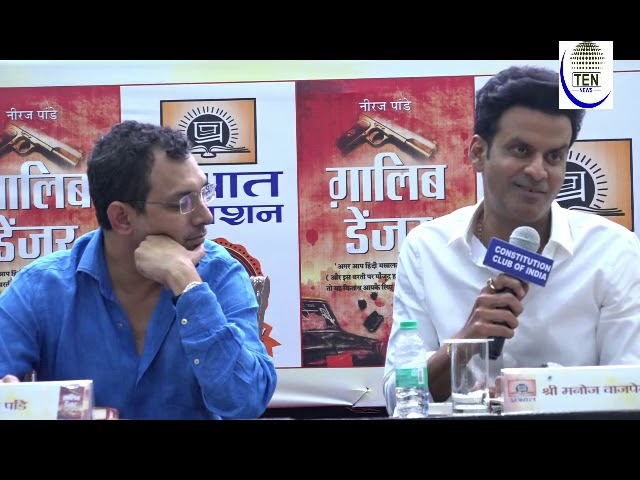 Owing to the positive response he received for the novel, the talented filmmaker with Actor Manoj Bajpayee, who has collaborated with the director in several films like, Aiyaary, Naam Shabana (2017) and Special 26 (2013) unveiled the Hindi version of his appreciated book at Constitution Club of India, New Delhi on Friday. The book titled Ghalib Danger is a story of Kamran Khan, a cocky young taxi driver trying to make it big in Mumbai. The story revolves around how Kamran’s life changes when he saves a don called Mirza from being killed.